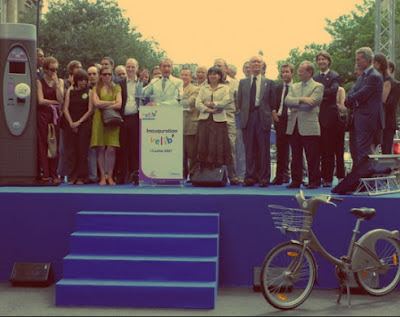 On July 15, 2007, bike-sharing went from a little known progressive initiative in a few cities into a World Transportation Phenomenon with the introduction of Vélib'. 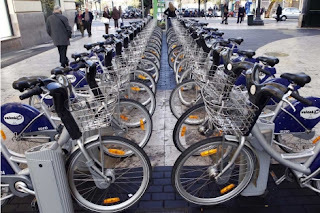 Vélib' arrived with 11,000 bikes in 750 stations in Paris. Though Paris was not the first̶̶̶—and is now not the biggest—bike-share city, it sparked the revolution that has brought these systems to over 450* cities around the world. Within five years, Vélib' riders have accumulated 130 million trips—with average 110,000 trips every day. The system quickly expanded to 18,500 bikes in 1,700 stations to cover all of Paris and the first ring of its suburbs within 1.5 km. Now there are 224,000 annual subscribers to the system and millions and millions of day passes are sold yearly. Vélib' was modeled after vélo'v in Lyon, France. Subsequently, the Chinese mega systems, the North American bIXI and B-cycle systems and the big European systems were all modeled after Vélib'. World bike-sharing success owes a lot to the success of Vélib'. Vélo'v takes top honors as Europe's best bike-sharing service. 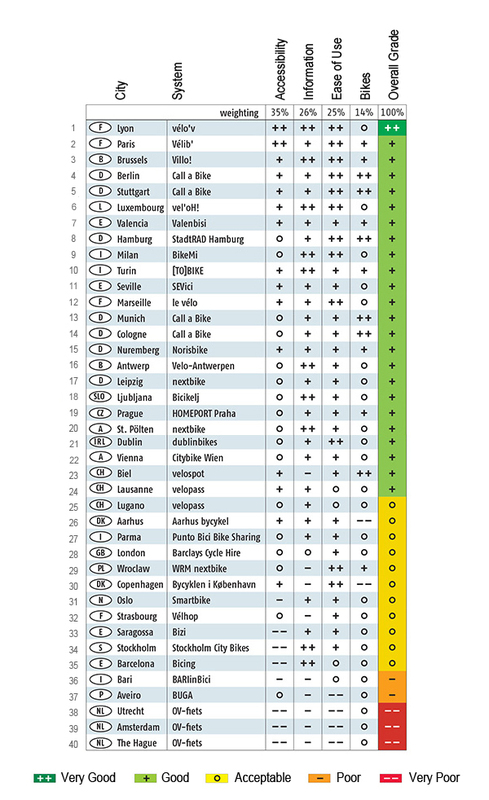 The German Automobile Club, ADAC, did a survey of 40 bike sharing systems in the European countries: Austria, Belgium, the Czech Republic, Denmark, France, Germany, Ireland, Italy, Luxembourg, the Netherlands, Norway, Poland, Portugal, Slovenia, Spain, Sweden, Switzerland and the United Kingdom. 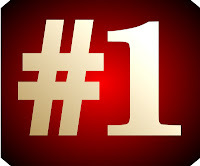 The survey said, Lyon's vélo'v is #1. Testing of the systems was performed in May 2012 as part of the ADAC program for advising travelers. Each system was evaluated on Accessibility (35% of the evaluation), Directions (26%), Ease of use (25%) and Quality of the bikes (14%). Each of these categories had the following choices: Very Good, Good, Acceptable, Poor and Very Poor. Paris' Vélib' came in second overall. Valenbisi on Monday afternoon July 16, 2012 starts offering supplemental insurance to its bike-share riders. This is in addition to the regular insurance that Valenbisi carries for every rental. For an additional €9 ($11 US) subscribers can purchase liability and accident insurance. This will cover the insured for any third party bicycling incidents within the city limits of Valencia. The policy pays claims that are brought against Valenbisi and/or against the user by a third party or parties involved in the incident. The claim maximums are: personal injury caused to third parties: €300,000 ($367,200 US) per claim, property damage caused to third parties: €50,000 ($61,200 US) per claim. In addition, there is compensation in the event of accidental death: up to €30,000 ($36,700 US), and compensation for permanent disability by an accident: up to €60,000 ($73,450 US.) This could be a very good precedent for all bike-sharing systems. It is possibly a best practice to emulate. Bike-sharing in the United States got a kick start with the Humana Freewhelin' first generation systems at the 2008 National Presidential Conventions in Denver, Colorado and Minneapolis, Minnesota. As a result, Nice Ride Minnesota and Denver B-cycle are flourishing. 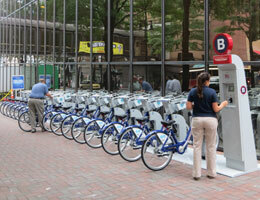 Now, in a run up to its September 2012 Democratic National Convention, Charlotte, North Carolina launched a third generation B-cycle system on July 12, 2012. Charlotte B-cycle will have 200 bikes across 20 stations available in the Center City area within a few weeks. The system—offering only 2 pass types—is a bit pricey with a day pass at $8 and an annual subscription at $65. After the initial no charge 30 minutes, each additional 1/2 hour is $4. As with the the earlier 2008 Political Conventions, the Charlotte system is being mostly paid for by the health industry. Although created by the Charlotte Center City Partnership, Blue Cross Blue Shield North Carolina is the lead sponsor of the system with Carolinas HealthCare System and Verizon sponsoring a smaller portion. The Charlotte media is calling Charlotte B-cycle the first major bike-sharing system in North Carolina and the largest in the Southeast. That title of the largest should have been applied to The Chattanooga Bike Transit System, in Tennessee. Unfortunately, that system, originally scheduled to begin on April 25, 2012, still isn't open for public use. You have to realized that ADAC is an "automobile" club, which main purpose is to ban anything which is not a car from the street and also build as many of these streets as possible. Secondly it is the "D" as in German club, as you might have noticed the German bike sharing schemes had quite good results, while they have been around for ages and nobody really uses them. 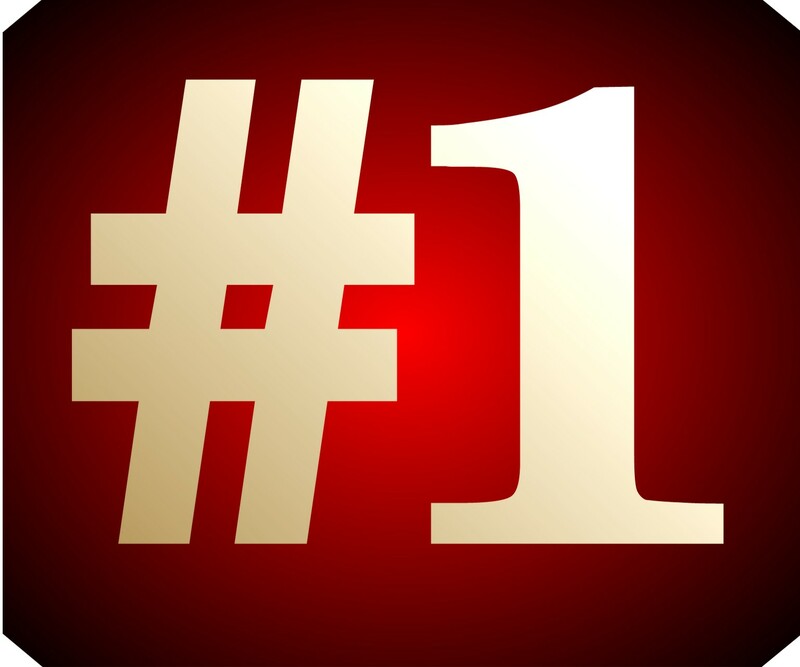 Similar to the "Stiftung Warentest", which tests consumer products, most of the winners will be from Germany. Also, this test is about bikes for Tourists, which most of the systems don't even care for. I should be proud that the two cities were I lived are ranked 1st and 2nd but I don't like that much the study made by ADAC. This study is classified in "Holidays and Travels" on their website. Their approach is more a touristic approach than a daily mobility approach but it is not specified in the study presentation. Bicing in Barcelona has a low rank because it is not accessible to tourist although it is great for the urban mobility. And they compared public bicycles to OV-Fiets which are 2 really different system that answer to different mobility needs. OV-fiets gets "very poor" althought it is a service that should be disseminated worldwide, as much as publics bicycles. And there is more to say about this study.